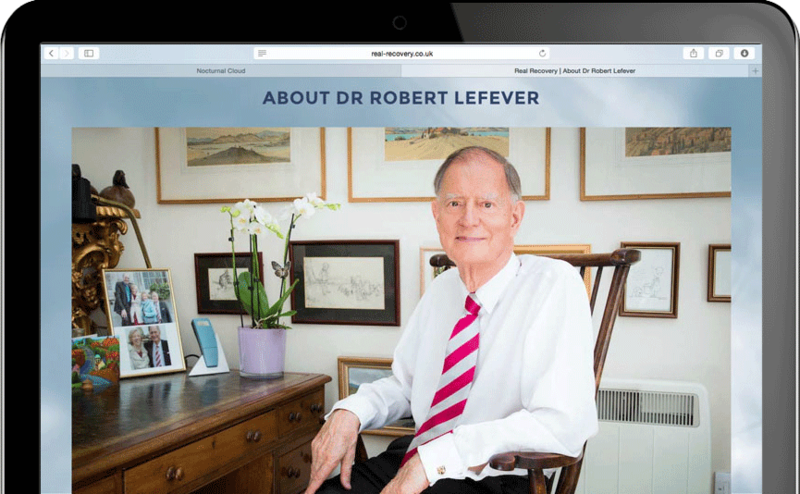 Dr Robert Lefever is an industry leading specialist addiction and depression clinician with over 40 years experience. He needed an updated website and digital presence to act as both a public information service and professional portfolio. A futureproofed website with a powerful CMS to manage large quantities of text and video content in an easily and intuitively navigable manner. Revitalising his social presence across all the highest traffic platforms with a combined approach to content release. 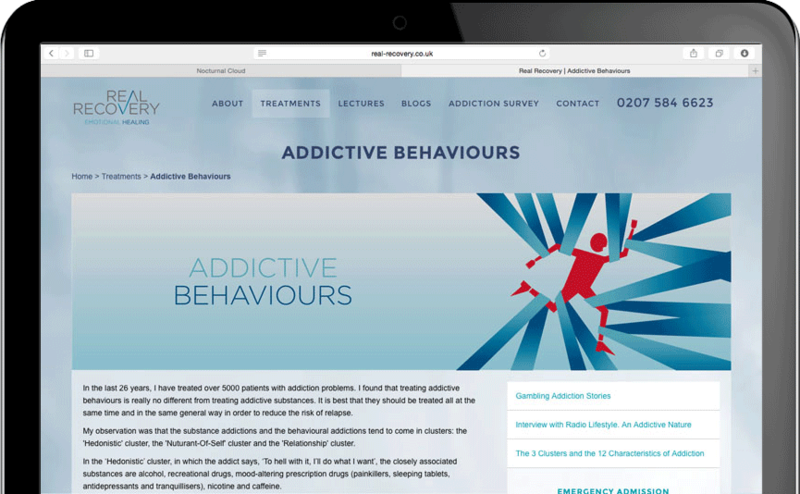 A comprehensive evaluation questionnaire had to be built into the site as a bespoke web application. 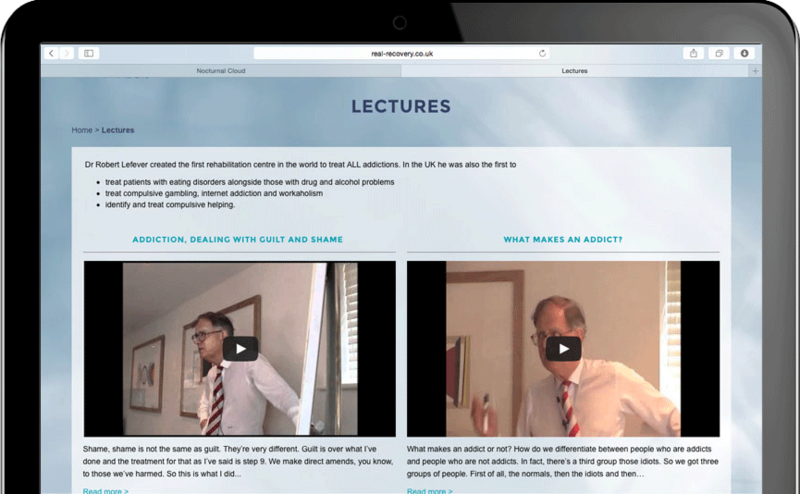 A responsive, dynamic website with a subtle full screen video background, built upon a powerful Concrete5 CMS. 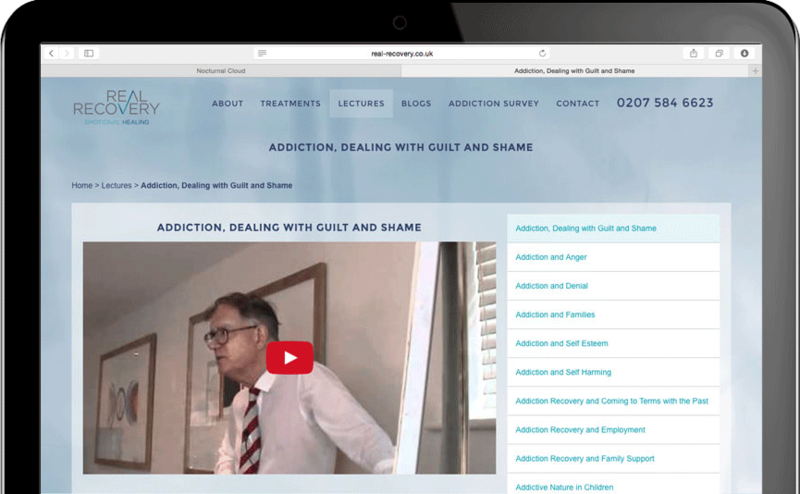 High quality iconography and custom banner designs aestheticise the site while highlighting different variations of the affectation of addictive disease. We developed a bespoke social media strategy with planning for content release across multiple platforms, utilising the benefits of each platform for the most effective content dispersal to the widest possible audience. 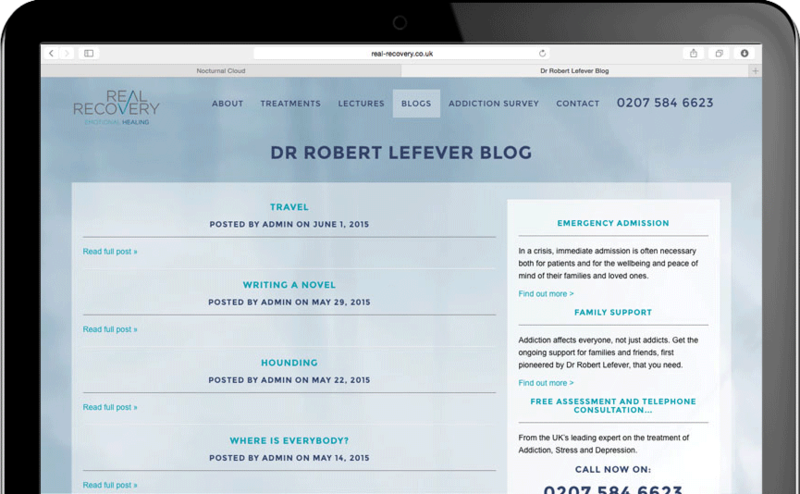 Research into existing digital communities, to engage with in an informative manner and promote Dr Lefever as a dependable source within the field, ultimately directing users back to the main site. 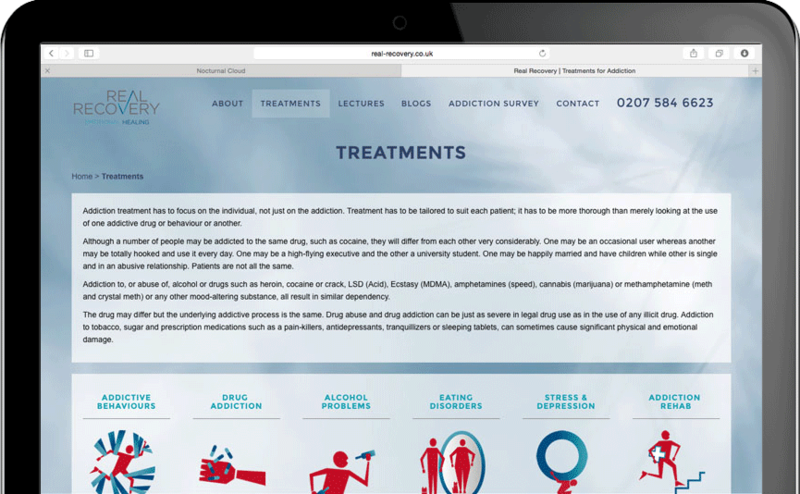 A custom-built Java & CSS web application, consisting of a 24 section, 240-question questionnaire, used to assess the parameters of individuals’ addictive afflictions. 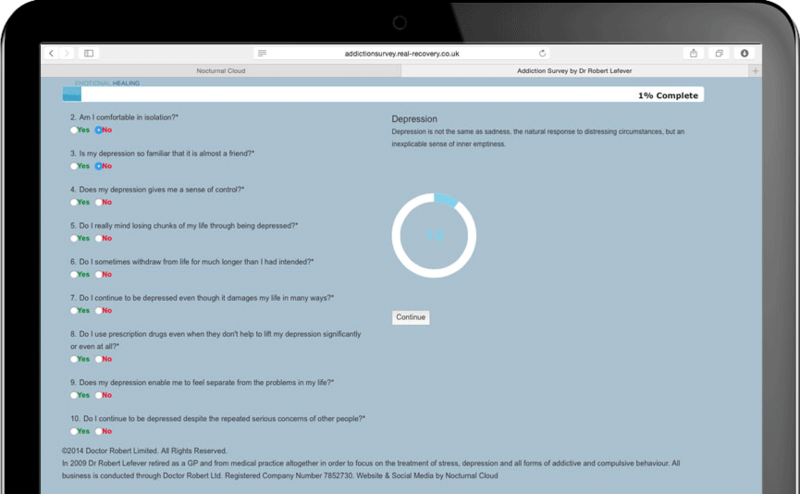 Upon completing the questionnaire, the results are sent to multiple individuals for assessment while the user is presented with an automatically generated pie chart. This visually displays the information about the nature of their condition in an easy to digest manner.